How to create a seamless pattern in Illustrator ~ Elan Creative Co. 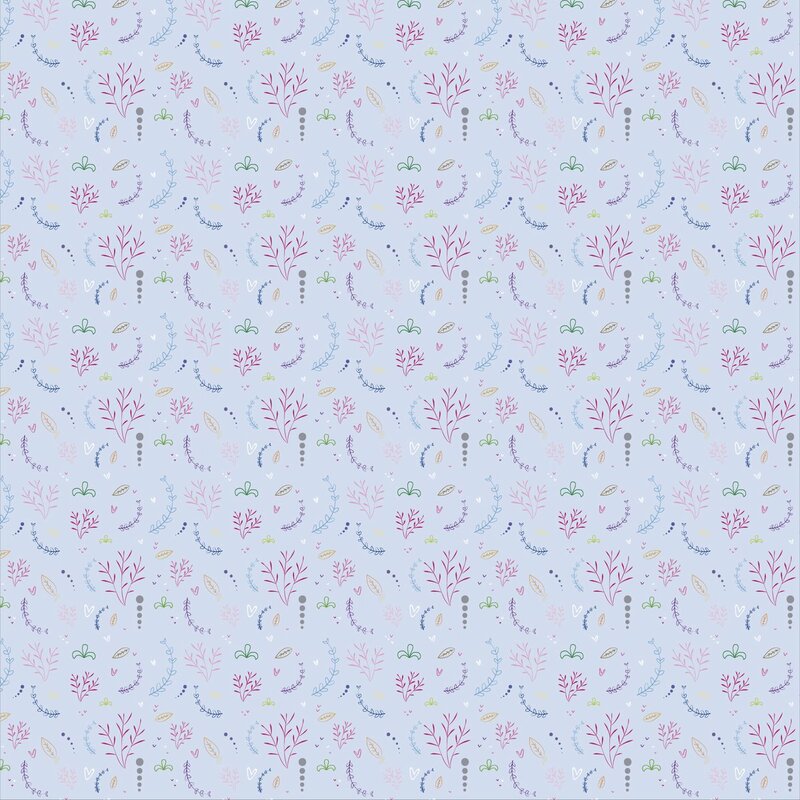 I used to think that creating a hand-drawn seamless pattern in Illustrator is only possible if you take many pattern design classes or if you are a professional surface pattern designer. I even learned how to create seamless patterns in Photoshop because I was more familiar with it and it seemed easier. Well, I was wrong. 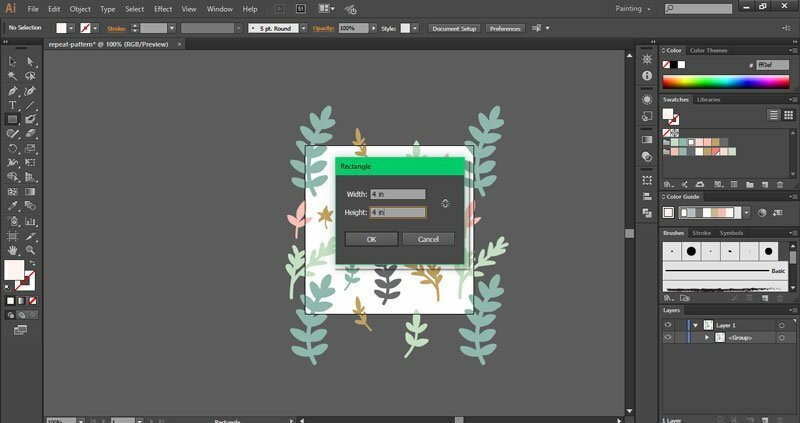 Creating seamless patterns in Illustrator is easy and everyone can do it. 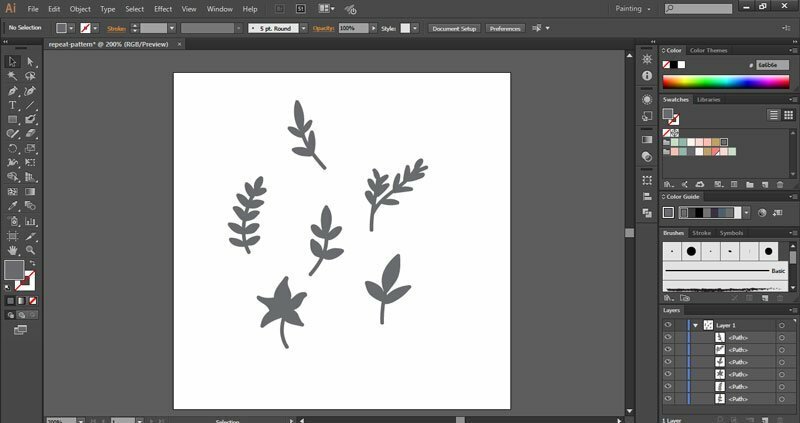 In another tutorial, I showed you how to use the pattern tool, but that works best for simple motifs. If you want to use a complex motif or create a pattern from multiple motifs, follow this tutorial. 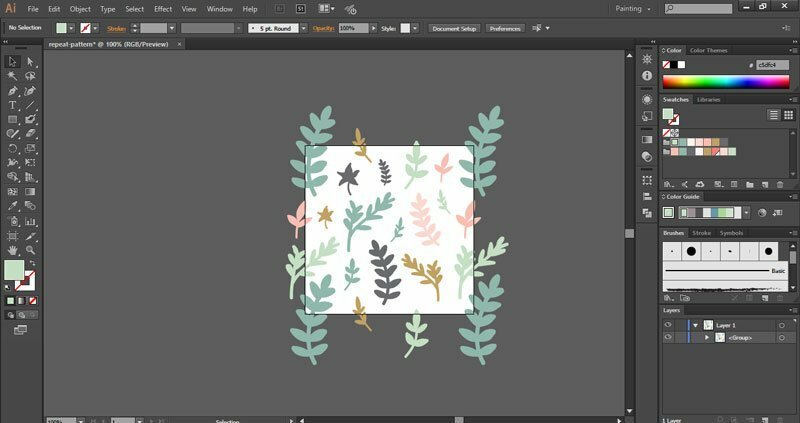 Here’s how to make a seamless pattern in Illustrator. Scroll down for the written tutorial. For this tutorial, I will be creating a pattern that is for web use only so I’m starting with a 4×4 inch artboard at 72ppi and RGB color mode. When I create patterns, I work a lot with the Swatches and Layers panels so I like to use a custom workspace, but the Painting workspace is also good. You can change the workspace by going to Essentials in the upper right corner of your screen and selecting Painting from the drop-down menu. I love to draw using my Wacom Intuos tablet and the Blob Brush Tool. It’s much faster than sketching and digitizing my doodles and it also preserves that hand-drawn look. 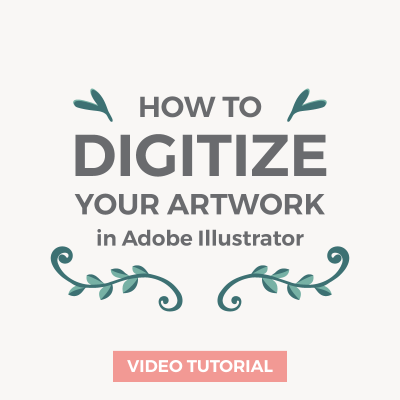 If you don’t have a tablet, you can digitize your drawings or watercolor images, you can use shaped based graphics, or even draw using the mouse. I’ve used my brand’s color palette for this tutorial and I randomly colored the motifs. You don’t have to worry about colors at this stage, but it’s always good to have a color scheme in mind before you start working on your patterns. If you don’t like the colors, you can always recolor your patterns later. Fill your artboard with the motifs by copying and pasting them. You can resize them and use the Reflect tool by selecting the object and going to Object > Transform > Reflect. This will create the sensation of movement in your patterns. You are probably tempted to add all your motifs in the middle of your artboard and worry about the motifs that hand over the edges. When you create a pattern, it’s very important to have the same objects on the left and right, and top and bottom. So make sure you have objects on the left and top edges of your artboard and delete objects that hang over the right and bottom edges. Using the Selection Tool (V), drag a box around the objects that are outside the left edge of your artboard. Press Ctrl/Cmd+Shift+M or go to Object > Transform > Move to open the Move dialog box. To have the same motifs on the right side of your artboard, enter the width of your artboard for Horizontal and 0px for Vertical and then press Copy. Repeat for the top of your artboard, but enter the height of your artboard for Horizontal and 0px for Vertical. Sometimes, after you duplicate the motifs that overhang your artboard you might need to add more objects to fill in blank areas or you might have to delete overlapping motifs. When you are satisfied with your pattern, use the Rectangle Tool (M) to add a background. 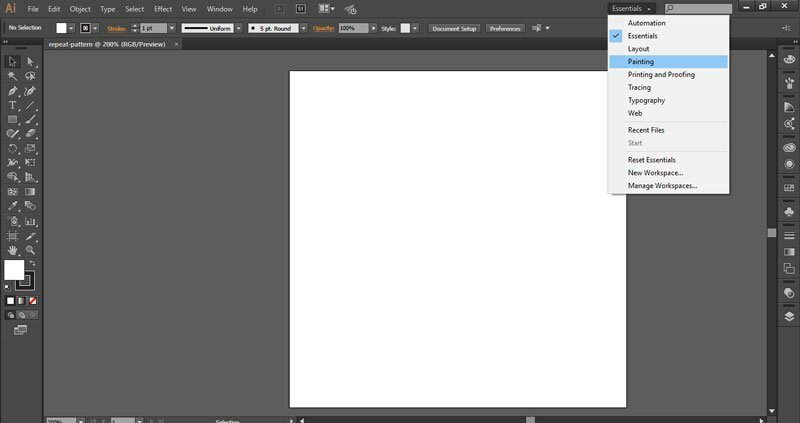 Create a square by clicking on your canvas and entering the width and height of your artboard. 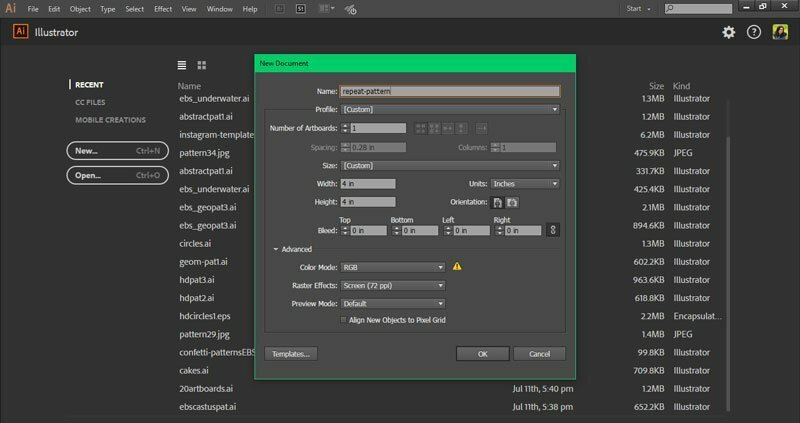 To make sure that your background is centered and there are no gaps near the edges of your artboard, use the alignment tools. Choose your fill color and no stroke, and send it to the back with Shift+Ctrl/Cmd+[. Before you can create a pattern swatch, you will need to create a bounding box. You can do this by selecting the background, copying it by pressing Ctrl/Cmd+C and pasting it to the back using Ctrl/Cmd+B. Set the colors of the new background to no fill and no stroke. If you want the pattern to have a transparent background, delete your background and leave only the invisible bounding box. All you have left to do is select all the layers and motifs using the Selection Tool (V) and drag everything to the Swatches Panel. 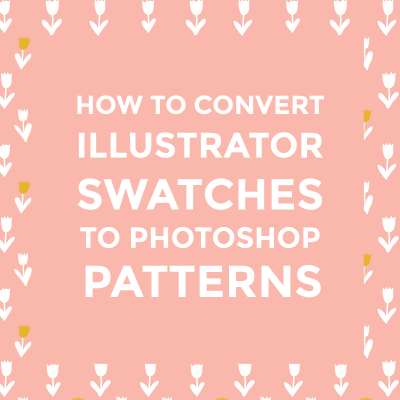 This will automatically create a pattern swatch that you can apply to any shape or background no matter how large or small. You can save your swatches from Swatches Libraries menu so you can use them on other artworks. 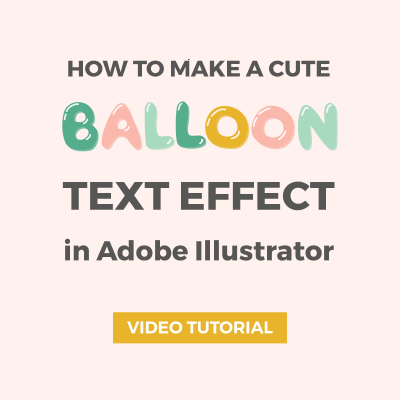 If you want to test your pattern, use the Rectangle Tool to create a shape that’s larger than your artboard and apply the pattern by using it as you would use a color swatch. I hope you enjoy creating seamless patterns and I’d love to see your designs. This tutorial was just amazing! Thank you so much for getting down to the very last detail. I had no idea about this! 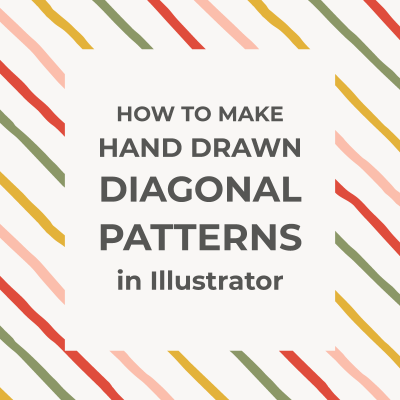 I used to just duplicate my pattern over and over again to achieve the same effect. And I love it so much that that I’ve subscribed to your blog. Thanks again! You’re welcome, Angela and thanks for subscribing! There are other good methods and a lot of designers just duplicate the patterns, but this is my favorite one. And you can create patterns very fast once you get the hang of it. I wanted to thank you deeply because of this tutorial. You’re so welcome, Giuliana! And thanks for showing me the pattern. It looks lovely! Loved your pattern. Thank you for the tutorial Cristina! I´ll try to make one too. You’re welcome, Kiki! I’m happy you like it. Hi, I just wanted to say that this was a really great and inspiring tutorial, thank you so much for sharing! Thanks, Annika! I’m glad you like it. i am from India and i wanted to learn adobe illustrator, Is any tutorial available for the new student, if you have please update me the link. Hi! Most of my tutorials are easy to follow by beginners, but I don’t have anything for new users (working on something though). You can take a look at these two posts (https://www.elancreativeco.com/getting-started-with-adobe-illustrator/ and https://www.elancreativeco.com/learn-web-design-and-development/). There are really great online courses for beginners on Skillshare and Treehouse. They are affordable and offer free trials. 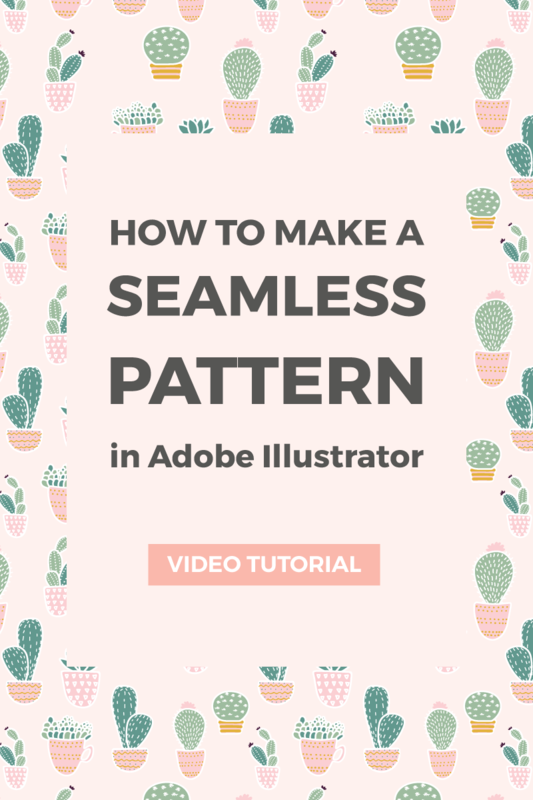 Thank you so much for this… I’ve watched many videos on YouTube about how to do this, but this was the only one that was clear and logical and helped me successfully create a seamless pattern! Thanks too for creating a written form of your tutorial here! Thanks for the comment, Anna! Your feedback means a lot and helps me make more tutorials. OMG you saved my life! Can you tell me how to save the pattern for printing? I’m going to have a fabric made but I’m not sure how to send the pattern to him. Thanks for much! Hi Michelle! You should contact the printing company. They will tell you what files they need.